Triangle Professional Search | TriangleProfessionalSearch.com offers a refreshing approach to recruiting, job placement, consulting and contracting services. than services offered by large firms. local charity of your choice. “Selective” TPS is committed to placing the best candidates possible. Ask about our guarantee program. The sole purpose of this organization is to place exceptional candidates with excellent companies. Organizations that foster a productive working environment, offer top notch benefits and truly care about their employees. The three sides of the Triangle correlate to the three main principals that Triangle Professional Search follows. First and foremost, providing search firm services at cost efficient prices. Second is giving back to the community through monetary gifts and volunteer efforts, as well as recommendations of other local business owners. Third is paying referral fees for successfully placed candidates. Thank you for your interest in Triangle Professional Search. Since 2005, Triangle Professional Search has been providing top notch candidates to local, national and international organizations in the fields of administration, accounting and finance. 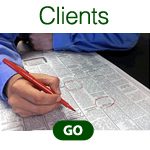 All services are an economical and affordable alternative to in house recruiting and sourcing. Triangle Professional Search is a full service professional recruiting firm that has affordable prices and flexible service options. 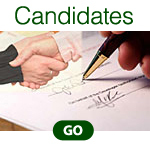 Our process ensures that you receive the highest quality candidates at an affordable price. We are not a “Big-Box” staffing firm that can often leave small firms paying large fees and receiving limited service. At Staffing Services, we pride ourselves on our friendly, ethical, and professional approach to recruitment and we value every client. We are your Triangle area employment agency for administration, accounting and finance. If you’re an employer, let us handle your Human Resources department so you can focus on what you do best.